The next time you sit down to lunch with nine of your friends, take a look around. Odds are that four or five of you are going to wind up getting divorced. Even worse, that divorce could turn into a battle over assets that your spouse has been hiding from you. 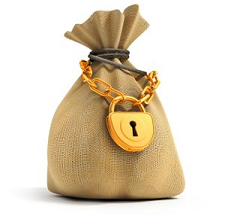 A recent CNBC report said that a whopping 7.2 million Americans are hiding money from their spouse. In other words, 26% of married people have a secret stash of valuable assets! Everything that you acquire as a married couple is a shared asset; it doesn’t matter who makes more money or who works harder. Unless you signed a prenuptial agreement that states otherwise, all of your shared assets are supposed to be split evenly when you get divorced. In many cases, people start hiding money because they know it’s only a matter of time before their divorce is officially filed. After all, official divorce proceedings come with all kinds of different discovery tools — including subpoenas, interrogatory questionnaires, and depositions — that are designed to establish how many assets exist in the marriage. Because of all of this legal red tape, spouses can get very creative when it comes to hiding their assets. Some spouses may try to disguise their money by purchasing things that you wouldn’t think of as being incredibly valuable — like oriental rugs, original artwork, or fancy guns. Odds are you won’t think to have the living room rug appraised, which means you won’t get any of the money that it’s worth. Some methods of hiding assets are even sneakier. For example, some spouses will delay commission payments or bonuses at work so that the money doesn’t count as part of their income until after the divorce is final. Some spouses even go so far as to pay extra money to the IRS — meaning that they’ll get a tax refund, but not until the divorce is over. • DO look for hidden cash in your closets, crawl space, attic, file cabinets, and anywhere else money could be hidden. A safe deposit box is another popular (and discoverable!) hiding spot for cash. • DON’T forget about your spouse’s business accounts. • DO look at schedule K1 of last year’s tax return for any unfamiliar corporate identities or business revenue. • DO look at your bank statements to see if there are any strange transfers or other suspicious transactions. Also look for discarded deposit slips or receipts from unknown banks. (Any bank statements from hidden accounts are likely being mailed to another address). • DON’T be overly concerned that your spouse is transferring money to relatives or a new love interest. This is a common misconception and goes against human nature. In our experience, this is very unlikely because dishonest people don’t trust other people. They like to be in complete control, and they can’t do that if their money is in someone else’s account! • DON’T assume that your lawyer will undertake a search for hidden assets; it’s best if you’re proactive. • DON’T just assume that your spouse is trustworthy. Even if they aren’t hiding any assets, a professional search is a small price to pay for peace of mind. • DO contact a licensed private investigator who specializes in finding bank and brokerage accounts to handle your hidden asset search. Licensed hidden asset specialists have access to information that’s normally just reserved for law enforcement. As smart as your divorce lawyer may be, he can’t search for all of the assets that your spouse may be hiding. And, yes, conducting bank and brokerage account searches are completely legal, provided that all applicable laws are followed, including the Gramm-Leach-Bliley-Act. But that doesn’t mean you can run out and hire any ol’ private investigator and wait for the information to roll in. You’ve got to do some homework first. The longer someone has been in the investigation business, the more savvy they’re likely to be. For example, here at Docusearch, our investigators have spent more than two decades searching for hidden assets. They’ll be able to pounce on little clues that less experienced investigators may not have even noticed. The correct answer to this should be “Everywhere.” Unfortunately, though, that’s rarely the answer that you’ll get. Many investigators will search through the banks that are closest to where your spouse lives or works. The problem with that? If your spouse opened up a secret bank account in the next town over, your investigator will never find it! The correct way to search for secret bank accounts is to do a nationwide search. That way, whether your spouse is hiding money in Florida or Alaska, you’ll find out all about it. In most cases, your investigator will even be able to tell you what the exact balance in the account is! A good private investigator will answer this question with a confident, “Absolutely!” It’s easy for a spouse to tuck away extra money by investing in stocks or securities. Most brokerage accounts also have associated money market accounts, which can act just like checking accounts. And just like bank accounts, the best investigators can conduct a nationwide search. As long as the account is held at a bank or brokerage, it should be discoverable. This would include IRA’s, 529’s and self-employed 401K’s. Since annuities are considered insurance products, they are not discoverable. It’s much easier for self-employed spouses to hide money because they have full control over what gets reported to the IRS. They even have the power to sell off capital (either legitimately or as part of a dummy sale that doesn’t really exist), which devalues their portion of the company. As a result, it’s vital that your private investigator comb through your spouse’s business bank accounts and brokerage dealings. It does no good if your spouse is made aware of any ongoing or completed investigation. At Docusearch, our searches are completely passive, meaning not even the bank is aware that a search has been undertaken. Even the best private investigator will need a little bit of information to begin his search. However, since we’re talking about finding hidden assets, you obviously don’t have a ton of details to give him! Fortunately, the best investigators can search for hidden accounts with very little input information. For example, here at Docusearch, all we need is your spouse’s name, address, date of birth, and Social Security number. And if you want us to comb through his business accounts, we’ll need his company’s EIN. If you’re worried that hiring a licensed private investigator — on top of all of your other legal fees — is going to break the bank, don’t. The best investigators don’t charge an arm and a leg for their services. Here at Docusearch, there’s a flat charge to begin a hidden assets search. Then, there will be a small charge to detail each one. You can even exclude know banks from the search. You want your investigator to be thorough, but in this case, time really is money! You may have tight court deadlines that don’t allow for a drawn-out search, so plan early. Luckily, the best investigators have enough expertise to work quickly without cutting corners. For example, here at Docusearch, we can normally complete your hidden assets search within 3 weeks. That will give you and your lawyer plenty of time to look at the results and take action. Bottom line — whether it’s a secret bank account, a brokerage account that you know nothing about, or even a piece of property that you didn’t know existed, you have a right to know what your soon-to-be ex is hiding from you. You’re entitled to a fair settlement, but the only way to know for sure if you’re getting one is to hire an experienced, licensed private investigator who is also an asset search specialist! About Docusearch: We are asset search specialists and have been conducting bank and brokerage account searches for over twenty years. Our investigators are licensed and insured. When searching for divorce-related hidden accounts, our most popular (and thorough) search is the Nationwide Bank and Brokerage Account Search. Call us at 800-474-5350 for further information.